321 Stainless Steel Tool Wrap in UK Stock! 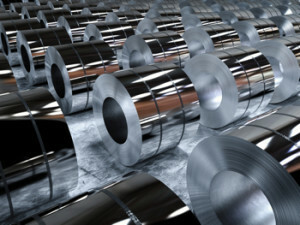 Why is Stainless Steel Heat Treatment Foil needed? Stainless Steel Tool Wrap – What Is It? Stainless steel tool wrap is a temperature resistant metal foil that is used to protect components during heat treatment from decarburisation, scaling and pitting. Otherwise known as stainless steel heat treatment foil, this is used in temperatures up to 1090°C (2000°F) to protect from oxide build up. The grade 321 stainless steel which we use is actually more commonly found in the aerospace industry for high temperature shielding applications however its properties are perfectly suited to be used as heat treatment foil. It is used by toolmakers and component manufacturers alike and is a cost effective alternative to using a vacuum furnace. Please click on our useful “How to use” links for hints and tips on how to get the most out of your stainless steel tool wrap. Tool Wrap UK, an Avocet Steel company, stock two different sizes of stainless steel heat treatment foil (0.05mm x 508mm x 30ft and 0.05mm x 610mm x 25ft) with the narrower width designed to reduce the amount of scrap when heat treating smaller components. Please contact us today to find out how we can help with your stainless steel tool wrap requirements.